kitchen designs. Ranging in size from 720 sq. ft. to 1,350 sq. 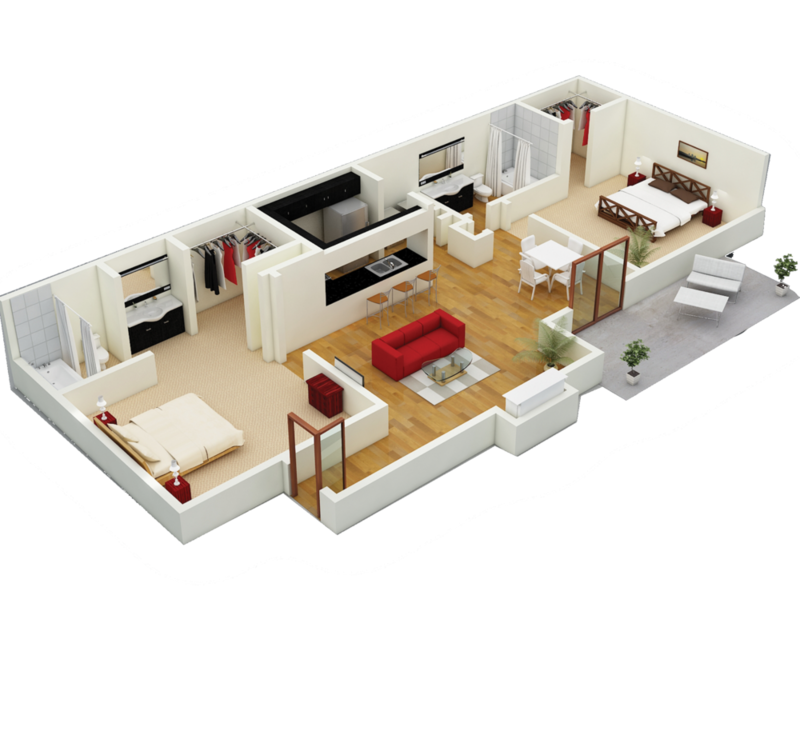 ft., finding the perfect floor plan won't be hard. 1 bed / 1 bath / 720 sq. ft. This popular one-bedroom apartment home is perfectly simple and sensible. Allowing for a serving kitchen design, large balcony and walk-in closet, as well as a utility/laundry area. The best of this design is the over-sized entertainment-friendly kitchen, walk-in closets, and dual-access balcony. 1 bed / 1 bath / 850 sq. ft.
What makes this unit so special is its over-sized bedroom and private bathroom. The sumptuous balcony includes storage. 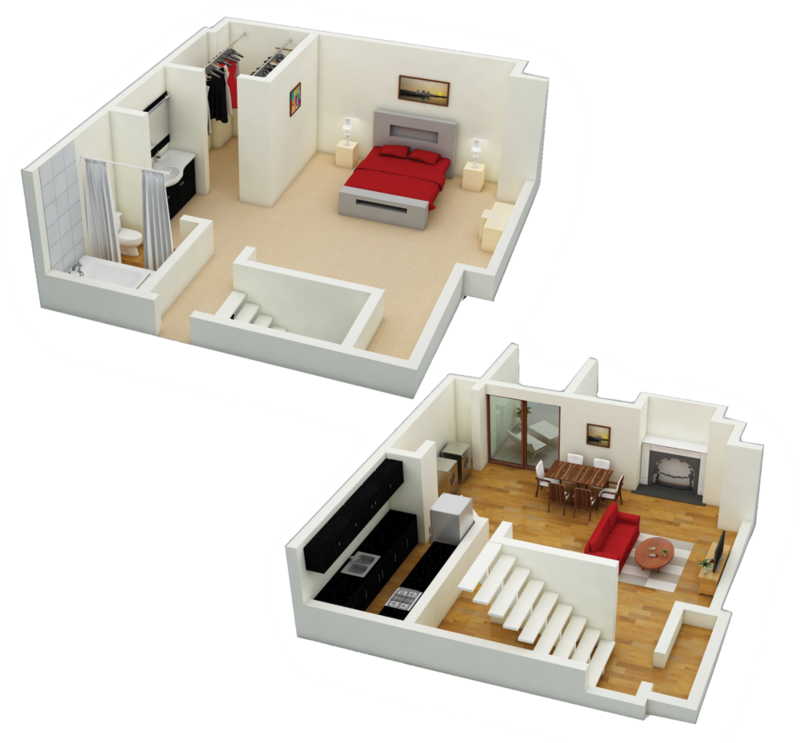 Take the best features of our one-bedroom apartment homes and add a new dimension - a second story. The bedroom and bath are located upstairs in this popular loft-style design. 2 bed / 2 bath / 1150 sq. ft. This popular two-bed / two-bath apartment home features a private master bedroom bath and walk-in closets. 2 bed / 2 bath / 1175 sq. ft. This very popular home plan includes a large balcony, walk-in closets, and private bath off the master bedroom. With a luxurious master bedroom arrangement including private bath and walk-in closet. 3 bed / 2 bath / 1350 sq. ft.
1350 sq. ft. of luxury, perfectly designed for family and entertaining. This three-bedroom home includes a chef-inspired surround kitchen, two walk-in closets, and private bath for the master bedroom. location is both peacefully idyllic and uncommonly convenient.